Hey Crafters! It's Kelly, I'm so thrilled to be guesting over here at Catherine's blog today! You guys. This SOA release. FOR REAL IT IS AMAZING. You can still grab yours while supplies last – click here to check them out in the shop. Today's card is super simple, and that's why I'm sharing it with you. Have you ever looked at a card and thought, “Wow, that's beautiful! I could never do that.”? Folks, card making should be an approachable and attainable creative outlet. 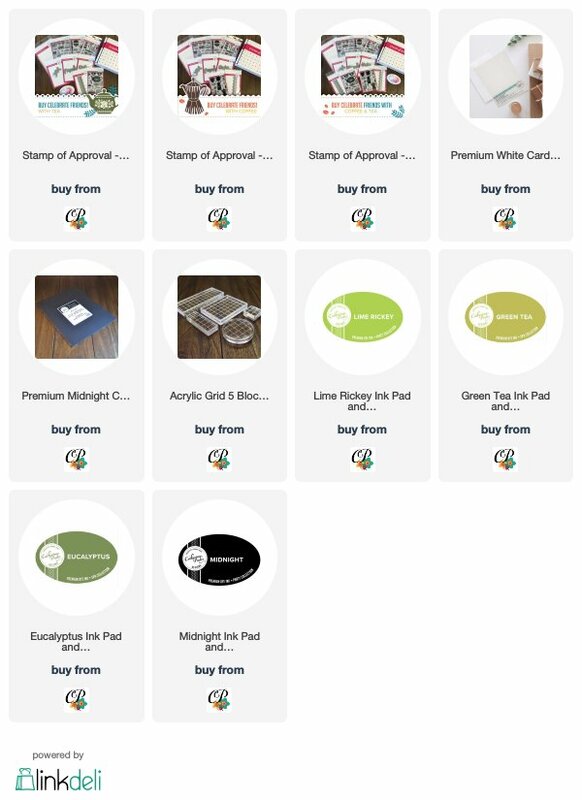 So my goal is not to wow you with my amazing talents, but to inspire you to create lovely cards with these fantastic products because they are so easy to use! To make this card, start by Cutting and scoring a 4.25 in. x 5.5 in. card base, and then set it aside. Cut a panel of white cardstock at 4 in. x 5.25 in. Use the bunting stamp from the Punctuated to create multiple strands of party bunting across your card panel. You can stretch the stamp across an acrylic block and droop it in the middle to give it a “swag” look! I chose several shades of green inks, but you can choose any color palette you like! Using a white gel pen, I added some fun details to the different bunting strands and kick it up a notch! Using one of the sentiments from the stamp set, stamp down part of the sentiment and then cut several layers of black cardstock using the “celebrate” word die. You can glue these together and then add them on to the card panel. I love Catherine's word dies because they can really carry a card well and are in such a pretty script font! For an added touch to tie the entire card together, I took one of the inks from the bunting and swipe it across the edges of the card base. 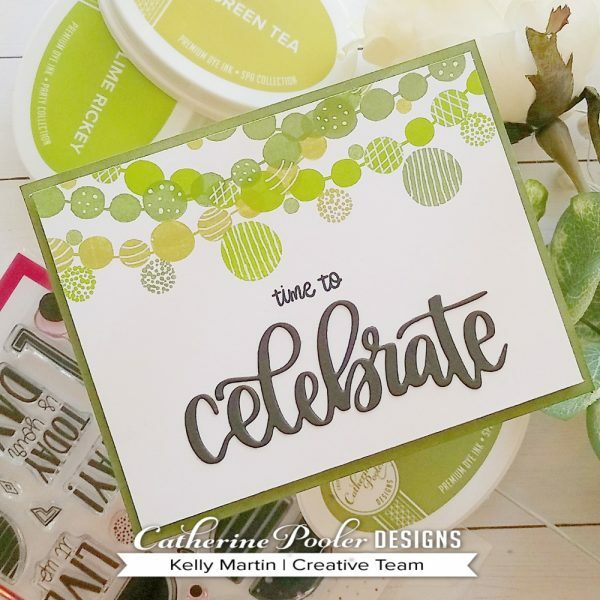 This will give you the look of coordinating cardstock colors! I finished off the card by adding a layer of fun foam under my panel before gluing it to the card base, but this step is totally optional!